When Kiffany Peggs, MD, decided to specialize in geriatrics, a corporate job was nowhere near her radar. Today, the medical director for Long-Term Services and Support at UnitedHealthcare Community Plan of Tennessee is finding joy in serving more than 10,000 elderly and disabled individuals who might otherwise fall through the cracks. A classically trained concert violist, Peggs received undergraduate degrees in both chemistry and biology from the University of Tennessee - Knoxville before continuing her education in medicine at the University of Tennessee Health Science Center in her hometown of Memphis. In 2008, she landed in Nashville for a residency at Vanderbilt University Medical Center (VUMC), where she remained for a fellowship in geriatrics. "During medical school, I especially loved care of the elderly and vulnerable," Peggs said. "They always touched my heart." 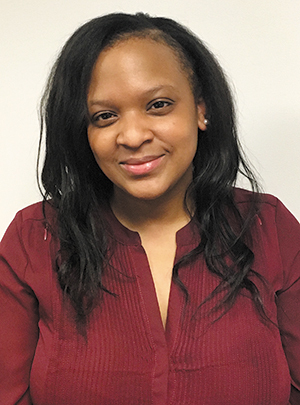 After her fellowship, the geriatrician worked for the Department of Veterans Affairs Tennessee Valley Healthcare System and served as director of the Geriatric Evaluation and Management Unit. She also worked as medical director of Geriatrics Consult Service at VUMC before making the switch to UnitedHealthcare in 2016. "A friend of mine who moved to UHC reached out and said he found the perfect position for me," Peggs said. "I was in a robust clinical practice and had no intention of leaving, but I kept meeting more people and learning what the program is about. In the end, I had no problem saying 'yes' because the people I'd work with really understood the problems I'd been seeing in the community, and I knew I could make a difference for thousands of patients." In private practice, Peggs could do little to remedy everyday problems facing her elderly patients. Today, she works as a member advocate to ensure patients receive help with everything from food and housing to utility bills and medications. "Patients often need help with the most basic needs, like shelter and bills," said Peggs. "We can help people catch up on their rent or mortgage and help them transition from a nursing home when they may not even own towels or furniture." While UnitedHealthcare helps fund many of these needs, Peggs and her colleagues also look for resources to address everything from home repairs to meal delivery. "When people go hungry, they can't take their pills, and making a doctor's appointment and exercising aren't going to happen either, " she said. "We want to identify people with basic needs and give them the safety and support they deserve." Under Peggs' leadership, UnitedHealth's Population Health team has provided assistance with everything from rotten floorboards to bed bug infestations and behavioral health services. "Our care coordinators are trained to reach out, and between us we'll find the right person," said Peggs, who sometimes meets multiple times a day to find solutions for one person. "We're going to find community resources and make sure we're leaving you better than we found you," Peggs said. Additionally, UnitedHealth's Population Health Team recently rolled out a CHOICES program to identify those who want to lose weight or stop smoking, while their Community First program is providing job opportunities to those with intellectual and developmental disabilities. Compassion for those she serves is evident. As an organization, UnitedHealth no longer refers to customers, members or patients, but instead to "people we serve." "We're trying to change the entire model of care to the whole person care model, which means looking at everything affecting a person's health and seeing how we can make life better," Peggs said. "It's a more inclusive way to practice medicine, as opposed to the old way in which you just tell someone what to do." That whole person care model also means redefining barriers of care and dismissing the notion of non-compliance. "If you tell me to take a medication, I may not be doing it because I can't remember, not because I'm non-compliant," Peggs said. "Providers should be asking, 'How do we help you?' That will bring in a new wave of care innovation and help us better serve this population." A lifelong learner, Peggs recently completed the MBA program at Vanderbilt University's Owen Graduate School of Business. She's also a proud mother to two-year-old Robert and four-month-old Josette.